Failure to participate in Medicaid expansion would come at a high cost for Montana. It would create a devastating gap between the insured and those who otherwise should have benefitted from the Affordable Care Act. It would continue to place thousands of Montanans at incredible financial risk and forgo an opportunity to improve health care for American Indians. 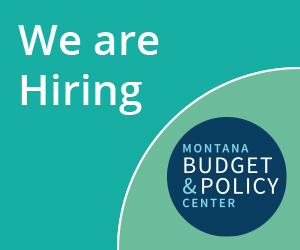 Furthermore, failure to expand Medicaid would be a missed opportunity to improve Montana’s economy and create jobs across the state. Failure to provide access to health care to thousands of Montanans is a decision our state cannot afford to make. Read more here.